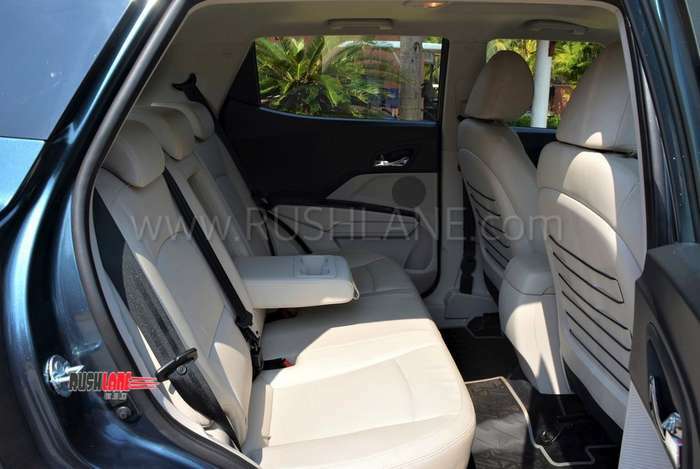 Mahindra XUV300 Review test drive - Can it recreate the XUV magic? Back in 2011, when Mahindra launched the XUV500, the SUV did something which was unprecedented in the Indian market. It was an urban SUV, loaded with features and was available at an aggressive price point. Customers had flocked to the showrooms and were willing to pay an additional lakh or so, just to ensure an early delivery! 8 years have passed and till now Mahindra hasn’t received similar level of enthusiasm from its customers. One major reason is the fact that there are just so many SUVs in the market, around 3-4 credible contenders at any given price point. 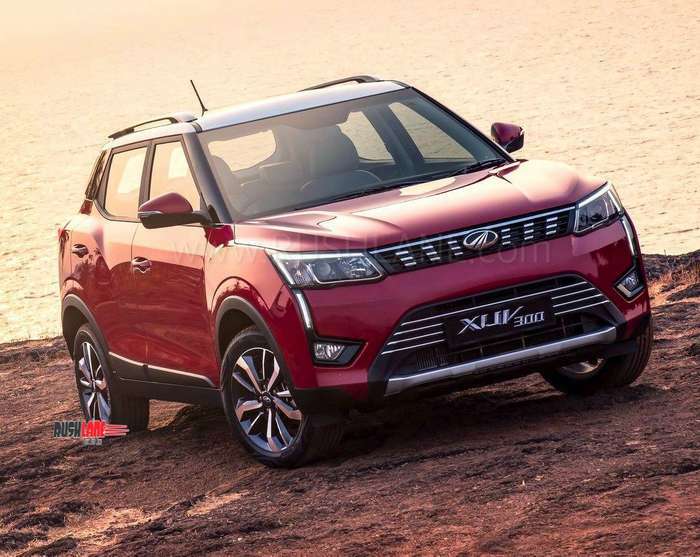 However, Mahindra intends to recreate the magic which the original XUV had brought-in and hence has planned for leveraging the same brand name this time. They have baptized their new sub 4 metre compact SUV as ‘XUV300’. 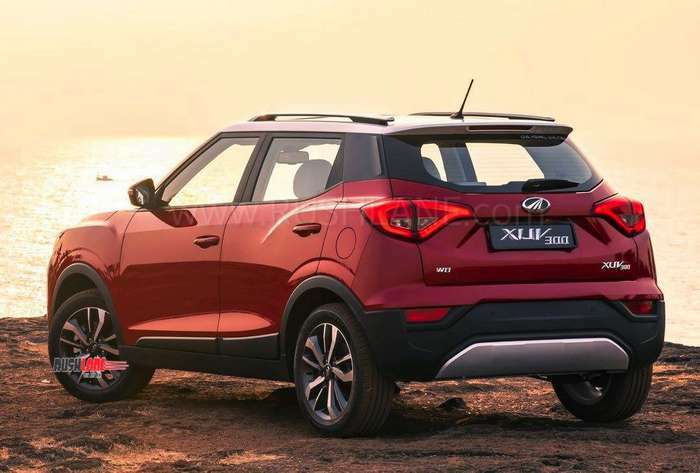 If initial impressions are to be considered, the SUV has already set the roads on fire, especially due to the aggressive pre-launch marketing activities from the home-grown SUV manufacturer. We were recently invited by Mahindra to Goa so that we can spend a day with the latest entrant in the sub-4 metre SUV segment. Let’s try and figure out if the XUV300 will be able to redo what the XUV500 did for Mahindra! 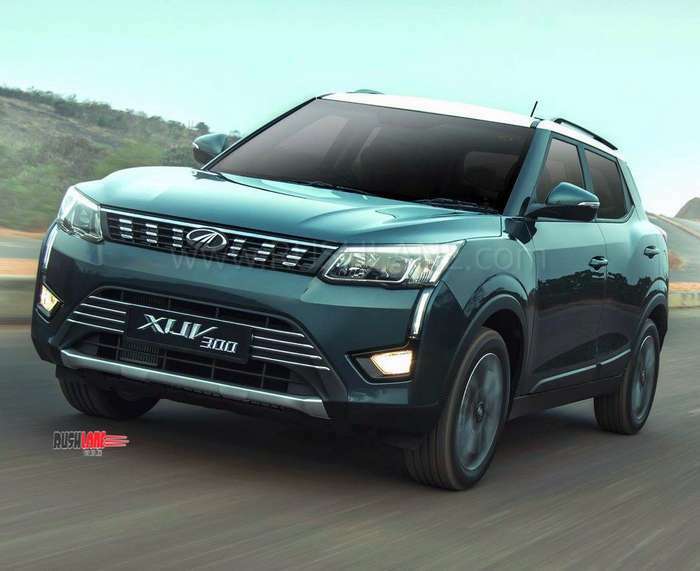 Exteriors – First look at the XUV300 and you know that it is a Mahindra, thanks to the typical toothed grille at the front. Just like its elder sibling XUV500, the XUV300 also draws its inspiration from ‘Cheetah’ and the similarity in design can be easily noticed. Talking about specifics, there is an interesting DRL unit at the front which looks more inspired from sabretooth than a cheetah, but nonetheless looks good. Overall front design comes out as aggressive while the side profile looks well composed with shiny 17-inch diamond cut alloy wheels, which steal the lime-light. Rear design is rather simple, except the LED tail-lamps and the exceptionally large Mahindra logo. Yes, the XUV300 does look good but what is more important is that it looks neat and mature! Thankfully there are no over-designed bits and pieces, something which Mahindra cars have been known for in the past! We can confidently say that it seems that the investment in Pinninfarina has started to reap its benefits. 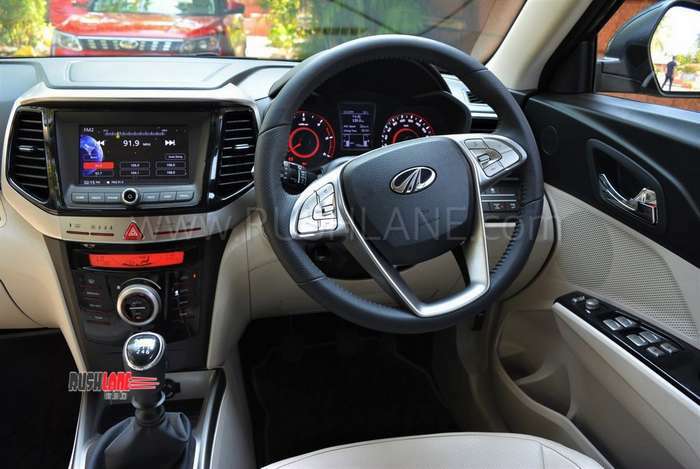 Interiors – Mahindra has introduced an all-new cabin for the XUV300. Almost all components are new and haven’t been picked up from older Mahindras (Thank God!). Feature list is rather long which comes with multiple segment-first features. There is a 7-inch touchscreen infotainment unit (supports Apple CarPlay and Android Auto) which is also clubbed with the rear-parking camera. Oh, yes, the car also has front-parking sensors, so that parking is easy for you even in tight spots. Auto-headlamps and auto-wipers are available and so is an auto-dimming IRVM (helps a lot in night where some geniuses behind you decide to use the high-beam, forever!). 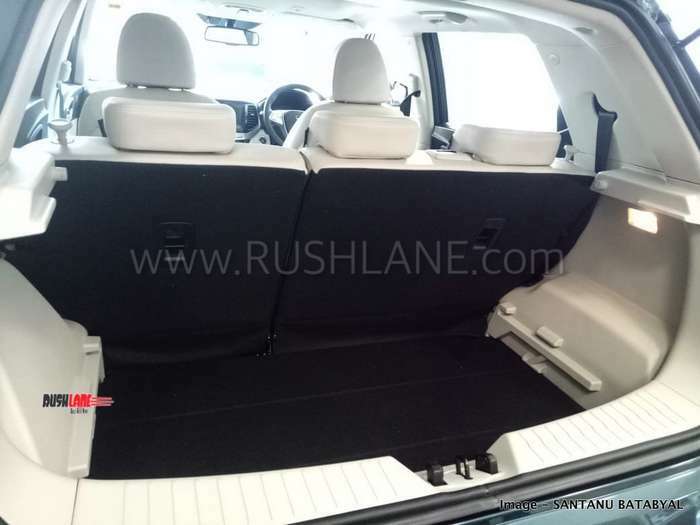 Front seats are comfortable and well-cushioned while there is decent amount of space at the rear too. Having light coloured upholstery helps to make the cabin look larger than it actually is. Yes, another segment-first feature happens to be the sun-roof which further adds to the airiness of the cabin! No, it isn’t panoramic though we wish that some OEM brings one in the budget segment cars too! Anyway, the sunroof is still large enough for those occasional moments you want your co-passengers to gaze at the stars from inside the car during a night drive! Though there are no rear-AC vents, the overall AC performance is good. Also, the AC comes with dual-zone climate control, which happens to be another segment-first. Boot space isn’t the largest in the segment but good enough for a weekend get-away for a family of five. 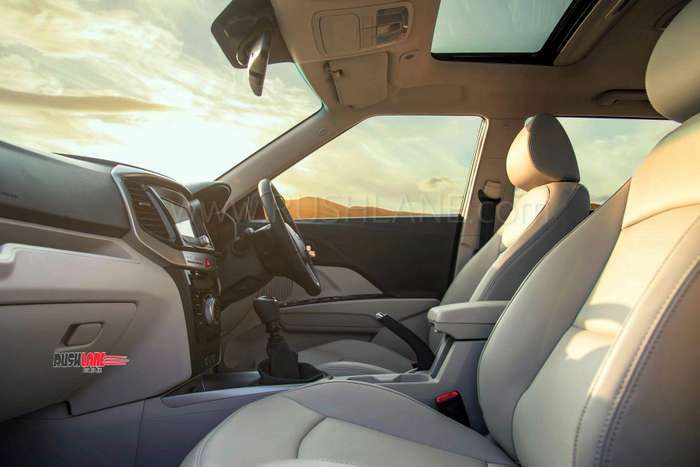 Driving Dynamics – Upon launch, Mahindra will be providing two engine options with the XUV300, namely a 1.5 litre diesel (110hp/300Nm) motor and a 1.2-litre turbocharged petrol (110hp/200Nm) engine. However, during the drive, only the diesel variant was available, so our experience is limited to the performance of the diesel unit. We hope to ride the petrol unit someday soon though. Coming to the performance of the 1.5 litre 110hp diesel motor, it happens to be the most powerful diesel motor in the compact SUV segment. This is not just based upon how the numbers stack-up (110hp for Nexon, 90hp for Brezza and 100hp for EcoSport), but the way the vehicle responds to your inputs. Three digit speeds come in easily while there is still enough breath left in the engine. Full marks to the 6-speed manual transmission which complimented the motor well with its precise shifts. And in case you are curious about the vibrations on the gear nob, surprisingly there were none. Acceleration is quick and the drivability in low gears is good too. This means that even though there is no Automatic on offer, you can simply slot the car in second or third gear and comfortably move around in city traffic. 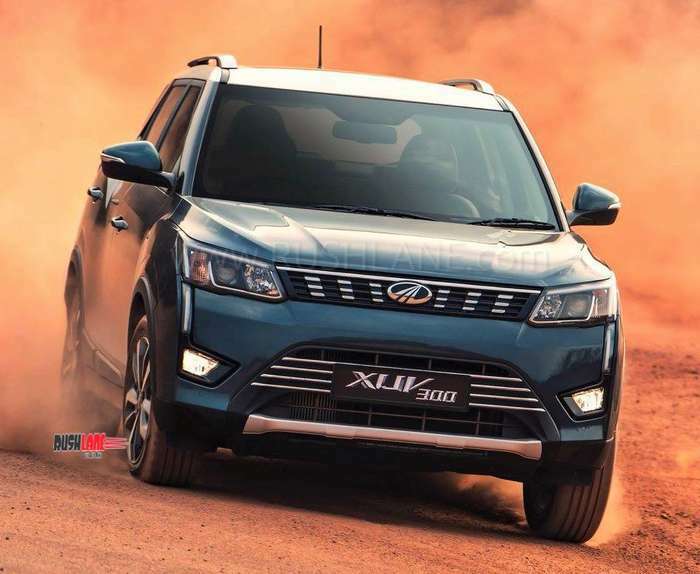 Ride and Handling – The XUV300 rides pretty well on Indian roads and that basically means, whatever you throw at it, tar, puddles, rumble strips, oddly designed speed breakers or a dirt patch, it will sail through comfortably. The suspension setup absorbs majority of the undulations and isolates all occupants from them reasonably. Being a monocoque, body roll too is well contained. Probably the fact that the SUV is based upon the same architecture and platform as the SsangYong Tivoli helps (i.e. an internationally well-tested platform comes along with own set of refinement)! As far as handling is concerned, Mahindra has pulled up a rather clever trick. It has provided three steering modes, i.e. now you can choose the amount of steering effort you would like to apply. There are three modes, Comfort, Normal and Sport. As the names suggest, Comfort is best suited for in-city traffic crawls and the Sport shall be used when you want to push the car around in corners. We are almost certain that you will find at least one mode which will please your driving style. NVH has been well contained and if not the quietest, it is one of the quieter cabin in its class. Braking is excellent, thanks to the disc brakes which are available on all 4 wheels. Safety – The XUV300 scores high on the safety front. The safety-pack comprises of 7 air-bags, ESP with hill-hold assist, ABS with EBD, ISOFIX seat mounts and a lot more; basically, a combination which happens to be a segment-first. 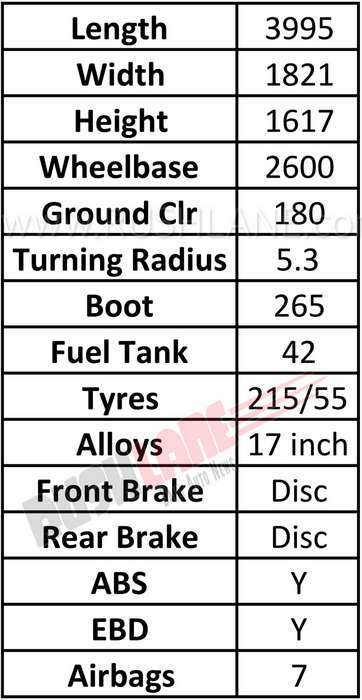 Earlier, the dual air-bag equipped Tata Nexon had received a commendable 5-star NCAP rating and it seems that the XUV300 can score a similar rating, provided that the internal structural strength is equally good. Full credit to Mahindra for focusing on Safety, something which they did even in the Marazzo (and scored a 4-star NCAP rating) which was launched last year. Launch & Pricing – Pricing has been confirmed to be in the INR 8-12 lakh range, though an aggressive introductory price will help to bring more XUVs on the roads sooner! Exact pricing will be revealed on 14th February 2019, when the car will officially be launched in India. What is interesting is that the XUV300 has also been spotted in Italy and it raises speculations that just like the XUV500, the XUV300 could become a global product and eventually get launched in other countries as well. 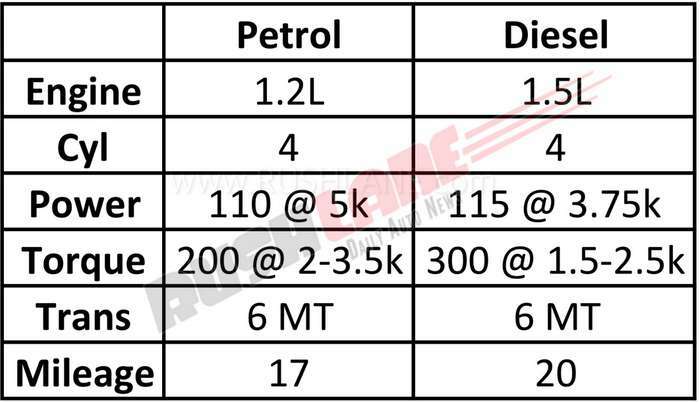 Verdict – Mahindra has struggled with the sub-4 metre SUV segment since years. They started off with the Quanto, later introduced the TUV300 and then there was a NuvoSport (it is acceptable if you don’t remember this one). While Quanto was more like a chopped-off Xylo, the TUV300 was an all-new vehicle but none of these SUVs could do what Mahindra wanted them to. However, it seems that Mahindra has used all its past learnings and with some additional help from SsangYong and its North American Technical Centre, Mahindra has finally got a winner at hand. The XUV300 manages to check all the right boxes, and it seems it is time for Brezza and Nexon to worry as they have some serious competition coming in soon! We won’t be surprised if XUV300 also marginally eats into the sales of the Creta and Kicks, cars which are technically in the next segment. What will be interesting is the fact that this segment is about to get into a fiercer fight once Hyundai launches its sub-4 metre compact SUV, the Styx/Carlino around mid of 2019. What do you think about the XUV300, let us know in the comments section below!